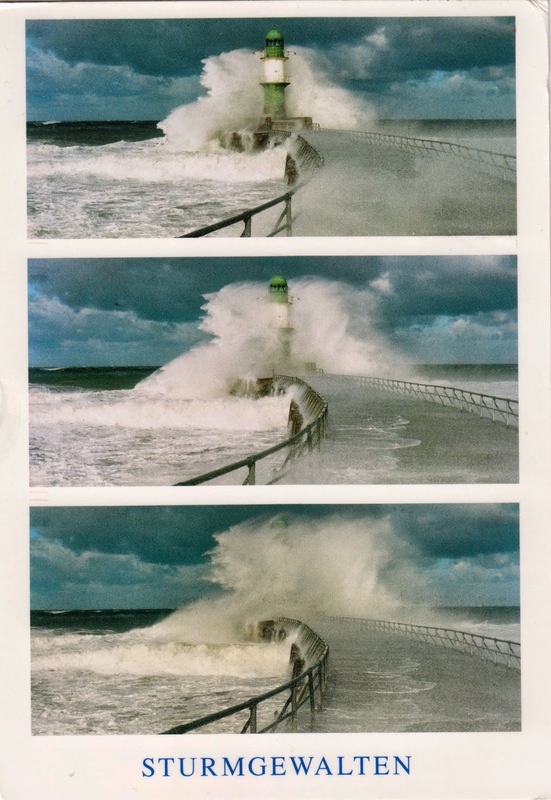 Postcard DE-3842889 from Germany shows a lighthouse amid the force of storm. Although there is no description on the back of the postcard, it looks like the Warnemünde Westmole, one the twin lighthouses (known as Die Zwillinge locally) at Warnemünde which is a seaside resort of the city of Rostock in Mecklenburg, Germany. Warnemünde is located on the Baltic Sea, at the estuary of the river Warnow. Leave your comment if you know otherwise.